A Taste of Small Farm America is a National Grassroots Lobby Day and Legislative Reception that will take place on September 26th, 2018. It's organized by Real Food Consumer Coalition, Organic Consumers Association with the support of Organic and Natural Association, 1000EcoFarms and several other partners. The goal of the event is to inform federal legislators about the issues faced by small sustainable farmers and to help consumers get easy access to safe and nutritional food they want from local sources. 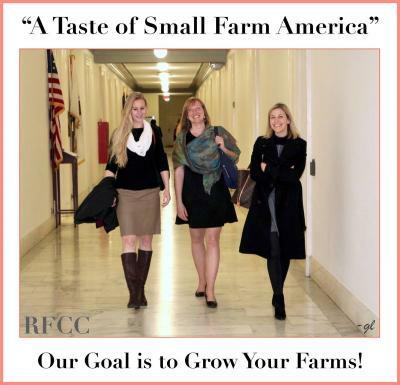 The event aims to bring the tastes and experiences of small farmers and food producers to Congress. - If you are able to be in Washington, DC in-person on September 26th, call and email your Congressional Representatives and Senators to request a meeting for the Farm-to-Family A Taste of Small Farm America grassroots lobby and advocacy day on Capitol Hill (please note that all meetings need to be scheduled and confirmed by September 20th). The instructions for the meeting are available on Real Food Consumer Coalition’s website. - Subscribe to the newsletter to get updates of the future events and ongoing efforts of the Real Food Consumer Coalition to support small farmers working to restore natural ecosystems and ensure access to healthy, safe food for all!